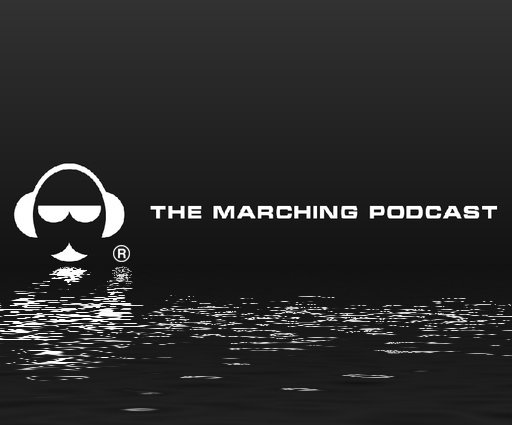 We are happy to announce our 3rd Birthday at the Marching Podcast Network! We are moving in the right direction, and we are happy to still be relevant with promise of a productive future. Our main goal is to create scholarships and to expose the youth in the Western Region to bands and HBCUs. Our proudest accomplishment at this point is awarding the scholarships to the four students from our National Signing Day Show for Marching Bands. We were excited to hear their decisions, and we hope too assist them throughout their degrees as well. We are also grateful in expanding our programing to four different podcast programs on the network. We believe that our current lineup will make a difference by opening the dialog to different ages and professions. The 90 Degree Show was our first and Choppin’ It Up was created shortly afterwards. Last year, we started the Directors Series with Dr. Kevin Davenport, that will continue every year, and our National Signing Day Show for Marching Bands where we will give scholarships annually. We will keep the current format and will make sure that those students selected will receive a scholarship from The Marching Podcast and its sponsors. We will continue to contact band directors for students to be on the show, but students are welcome to apply as well. In these three years, we have also appreciated all the people that have assisted with the network through graphics, technical equipment, marketing and advice about how to make the show better. We love our new logos provided by John Pickens and Simply Dope Creative, and we really appreciate Christy Walker, and Charles ‘Cheese’ Watters of giving us great voice over work to market and present our podcasts. We also want to thank Kathleen Heuer of The Marketing Music Education Podcast for interviewing us for her podcast. She also enlightened us about Calendly, which has made a huge difference in how we schedule interviews and promo drops. Again to all of you, THANK YOU!!! Last and especially not least, we also want to give a special thanks to all of our sponsors that allow us to broadcast during the peak hours and build our scholarship fund. Special shout-out to Rashad Watters and BlockBand Music and Publishing for his ideas, criticism, and for providing an invaluable resource for interviews and networking for our craft. See you Sundays and sometimes on Tuesdays on Blog Talk Radio!